Bone remodelling with lateral femoral cortex thinning is a major concern after extensively porous-coated long-stem in revision surgery. Extensive hydroxyapatite coated long-stems were introduced to improve osseointegration, but bone remodelling changes have not been quantified. The question of whether bone remodelling changes from extensive hydroxyapatite-coated long stems influence the durability of femoral revision, clinical outcome is assessed in follow-up radiographs. Uncemented straight monoblock hydroxyapatite-coated long-stems used in revision hip surgery for aseptic loosening were assessed in a consecutive series of 64 hips (60 patients). Mean follow-up was 8.6 years and the mean age at surgery was 70 years (27-91). The pre-operative bone defect was classified according to Paprosky. Cortical struts were not used in this series. Cortical index and femoral cortical width were measured at three different levels at different periods. Four patients with pain under level 4 due to stem loosening needed an exchange surgery of their femoral component, but two patients rejected re-surgery. The cumulative probability of not having aseptic loosening was 91.2% (95% confidence interval 73.5-96.9) at 10 years according to Kaplan and Meier. Twenty-seven of 35 osteolytic lesions had disappeared or decreased at the last follow-up. The thickness of the lateral and medial cortex increased over the course of the study at different levels. Increases of femoral cortex thickness were greater in men and in cases with mild bone defects. Although clinical outcome of the hydroxyapatite-coated long stem in revision surgery is good but not outstanding, most osteolytic lesions heal and the femoral cortex thickness increases at different levels. Keywords: Hydroxiapatite coated long-stem, Bone regeneration, Osteolytic lesions, Hydroxyapatite, Femoral. © 2018 Cordero-Ampuero et al. Femoral loosening frequently causes major bone defects, making revision surgery difficult. In revision surgery cementless long-stem prostheses are widely used to create stable stem fixation distal to any deficient bone stock of the proximal femur during revision [1Böhm P, Bischel O. Femoral revision with the Wagner SL revision stem : Evaluation of one hundred and twenty-nine revisions followed for a mean of 4.8 years. J Bone Joint Surg Am 2001; 83-A(7): 1023-31. [http://dx.doi.org/10.2106/00004623-200107000-00007] [PMID: 11451971] -3Kolstad K. Revision THR after periprosthetic femoral fractures. An analysis of 23 cases. Acta Orthop Scand 1994; 65(5): 505-8. [http://dx.doi.org/10.3109/17453679409000900] [PMID: 7801749] ]. Although an extensively porous-coated stem has been reported to give good clinical results in revision surgery after more than ten years, severe stress shielding resulting in proximal femur bone loss has been a side-effect that may render further revisions more complex in the long-term outcome of these extensively porous-coated stems in revision surgery. Increased medial femoral cortical thickness and decreased lateral cortical thickness have been reported [4Lawrence JM, Engh CA, Macalino GE, Lauro GR. Outcome of revision hip arthroplasty done without cement. J Bone Joint Surg Am 1994; 76(7): 965-73. [http://dx.doi.org/10.2106/00004623-199407000-00002] [PMID: 8027124] -13García-Cimbrelo E, García-Rey E, Cruz-Pardos A, Madero R. Stress-shielding of the proximal femur using an extensively porous-coated femoral component without allograft in revision surgery: A 5- to 17-year follow-up study. J Bone Joint Surg Br 2010; 92(10): 1363-9. [http://dx.doi.org/10.1302/0301-620X.92B10.24317] [PMID: 20884972] ]. Series using a hydroxyapatite (HAP) coating with different designs in primary arthroplasty report absence of thigh pain and radiographic ongrowth in most cases [14Søballe K, Toksvig-Larsen S, Gelineck J, et al. 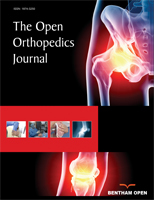 Migration of hydroxyapatite coated femoral prostheses. A Roentgen Stereophotogrammetric study. J Bone Joint Surg Br 1993; 75(5): 681-7. [http://dx.doi.org/10.1302/0301-620X.75B5.8397213] [PMID: 8397213] -16Crawford CH III, Malkani AL, Incavo SJ, Morris HB, Krupp RJ, Baker D. Femoral component revision using an extensively hydroxyapatite-coated stem. J Arthroplasty 2004; 19(1): 8-13. [http://dx.doi.org/10.1016/S0883-5403(03)00454-6] [PMID: 14716643] ]. In a series of 24 HAP coated Profile stems (DePuy, Warsaw, IN), Hamadouche et al. report a mean stem migration of 1.26 mm using EBRA femoral component analysis [17Hamadouche M, Witvoet J, Porcher R, Meunier A, Sedel L, Nizard R. Hydroxyapatite-coated versus grit-blasted femoral stems. A prospective, randomised study using EBRA-FCA. J Bone Joint Surg Br 2001; 83(7): 979-87. [http://dx.doi.org/10.1302/0301-620X.83B7.11478] [PMID: 11603537] ]. Their study showed that with the same stem design, HAP coating enhanced the stability of the femoral stem when compared with grit-blasted stems. Extensive HAP coating of the long stems was introduced to improve osseointegration in revision surgery anad survivorship greater than 95% has been reported after 8-12 years [18Raman R, Kamath RP, Parikh A, Angus PD. Revision of cemented hip arthroplasty using a hydroxyapatite-ceramic-coated femoral component. J Bone Joint Surg Br 2005; 87(8): 1061-7. [http://dx.doi.org/10.1302/0301-620X.87B8.16161] [PMID: 16049239] , 19Trikha SP, Singh S, Raynham OW, Lewis JC, Mitchell PA, Edge AJ. Hydroxyapatite-ceramic-coated femoral stems in revision hip surgery. J Bone Joint Surg Br 2005; 87(8): 1055-60. [http://dx.doi.org/10.1302/0301-620X.87B8.16053] [PMID: 16049238] ]. Bone remodelling changes have been quantitatively described with an extensively porous-coated long-stem [13García-Cimbrelo E, García-Rey E, Cruz-Pardos A, Madero R. Stress-shielding of the proximal femur using an extensively porous-coated femoral component without allograft in revision surgery: A 5- to 17-year follow-up study. J Bone Joint Surg Br 2010; 92(10): 1363-9. [http://dx.doi.org/10.1302/0301-620X.92B10.24317] [PMID: 20884972] ] but not for extensive HAP coating long-stems. We address the question of clinical and radiographic outcomes, especially focused on bone remodeling changes with a fully HAP coated long-stem in femoral revision, which at least theoretically, may provide proximal as well as distal ongrowth. Femoral radiographs have been retrospectively analyzed in a consecutive series measuring the changes over time in the thickness of the femoral cortex at three levels. The second question we asked was whether patient factors, such as gender, age or intraoperative bone defect, influenced changes in cortical thickness, proximal osteopenia and evolution of osteolytic lesions. Photograph showing the Furlong extensivly hydroyapatite-coated long-stem used in this series. A minimum four-year clinical and radio graphic follow-up was required for enrollment in this study. Thus, two hips were lost to follow-up (two patients) before four years. The remaining 64 (60 patients) formed the basis of the follow-up study. There were 35 female and 25 male patients with a mean age of 70 years (range, from 27 to 91). The original diagnosis was primary osteoarthrosis in 50 hips, avascular necrosis of the femoral head in seven, post-traumatic arthritis in three, developmental dysplasia of the hip in two, and rheumatoid arthritis in two. The implants revised were 28 Isoelastic Robert Mathys stems (Protek Bern, Switzerlans), 16 Furlong stems (JRI Instrumentation Ltd. London, UK), 12 cemented stems and 8 another cementless stems. Femoral bone defects were intraoperatively classified according the Paprosky et al. criteria [8Paprosky WG, Greidanus NV, Antoniou J. Minimum 10-year-results of extensively porous-coated stems in revision hip arthroplasty. Clin Orthop Relat Res 1999; (369): 230-42. [http://dx.doi.org/10.1097/00003086-199912000-00024] [PMID: 10611878] ]: Grade 1 (15 hips), Grade 2 (23 hips), Grade 3A (seven hips), and Grade 3B (19 hips). The revision of the stem was the first revision in 54 hips, the second revision in six hips, and the third in four. The average time between the initial total hip arthroplasty and femoral revision surgery was 10.2 years (range, from 0 to 21). The acetabular component was also revised in 51 hips.The mean follow-up until revision or their latest evaluation for the hips included in this follow-up study has been 8.6 years (range, four to 20 years). All hips were templated before the surgery to determine the appropriate stem width. In planning the operation one selects an appropriate stem size with a fixation depth of at least 5-7 cm in intact distal dyaphiseal bone [6Krishnamurthy AB, MacDonald SJ, Paprosky WG. 5- to 13-year follow-up study on cementless femoral components in revision surgery. J Arthroplasty 1997; 12(8): 839-47. [http://dx.doi.org/10.1016/S0883-5403(97)90152-2] [PMID: 9458248] , 11McAuley JP, Engh CA Jr. Femoral fixation in the face of considerable bone loss: Cylindrical and extensively coated femoral components. Clin Orthop Relat Res 2004; (429): 215-21. [http://dx.doi.org/10.1097/01.blo.0000150274.21573.f4] [PMID: 15577490] , 12Nadaud MC, Griffin WL, Fehring TK, et al. Cementless revision total hip arthroplasty without allograft in severe proximal femoral defects. J Arthroplasty 2005; 20(6): 738-44. [http://dx.doi.org/10.1016/j.arth.2004.12.053] [PMID: 16139710] ]. All surgeries were performed by a trained orthopaedic surgeon using a posterolateral approach; an extended transtrochanteric osteotomy was added in nine femurs for stem and cement extraction. The surgeon confirmed the bone defect before reaming the femur. In order to prevent fractures, a prophylactic wire was placed around the proximal femur before impaction [20Meek RMD, Garbuz DS, Masri BA, Greidanus NV, Duncan CP. Intraoperative fracture of the femur in revision total hip arthroplasty with a diaphyseal fitting stem. J Bone Joint Surg Am 2004; 86-A(3): 480-5. [http://dx.doi.org/10.2106/00004623-200403000-00004] [PMID: 14996872] ]. No strut grafts were used in this series. Implant data are detailed in Table 1. After surgey and depending on their bone defect and press-fit quality, patients spent three to five days with the leg in abduction in bed before being allowed to walk with partial weight bearing for three to six weeks. Antibiotic prophylaxis (1 g cefazolin every six hours) was discontinued at 48 hours post-surgery. Subcutaneous heparin was employed as a routine thrombo-embolic preventive measure under the strict protocol of the hospital’s hematology department until patients were fully mobile. Patients were clinically evaluated in the outpatient clinic using the Merlè-D'Aubigne-Postel clinical score preoperatively and at 1, 3, 6, 9 and 12 months after revision surgery and then annually until the latest visit or death of the patient. The clinical evaluation assessed pain, walking ability, and joint motion, (range, from 1 to 6) [21D’Aubigne RM, Postel M. Functional results of hip arthroplasty with acrylic prosthesis. J Bone Joint Surg Am 1954; 36-A(3): 451-75. [http://dx.doi.org/10.2106/00004623-195436030-00001] [PMID: 13163078] ]. Patients’ follow-up examination included questioning about pain and its location [22Pupparo F, Engh CA. Comparison of porous-threaded and smooth-threaded acetabular components of identical design. Two- to four-year results. Clin Orthop Relat Res 1991; (271): 201-6. [PMID: 1914296] ]. Standard anteroposterior and lateral radiographs of the pelvis and the operated femur were made for all patients immediately after the operation, at three, at six and at 12 months, and then annually thereafter. The assessment of cortical index and cortical width based on the postoperative radiographs is a very inaccurate and inconsistent method to evaluate stress shielding changes. In addition, there are other problems inherent to radiological techniques such as positioning of the femur due to the measurement variability produced by femoral rotation when evaluating cortical dimensions [23Bell AL, Brand RA. Roentgenographic changes in proximal femoral dimensions due to hip rotation. Clin Orthop Relat Res 1989; (240): 194-9. [PMID: 2917433] -25West JD, Mayor MB, Collier JP. Potential errors inherent in quantitative densitometric analysis of orthopaedic radiographs. A study after total hip arthroplasty. J Bone Joint Surg Am 1987; 69(1): 58-64. [http://dx.doi.org/10.2106/00004623-198769010-00010] [PMID: 3805071] ]. To reduce the contributions of each of the potential errors, all postoperative and follow-up radiographs followed the same protocol. The patient was positioned supine, with his/her feet together. The x-ray tube was positioned over the symphysis pubis one meter from and perpendicular to the table. To reduce interobserver error, a single experienced observer made all measurements (JCA). Since 2007 all radiographic controls have been digitalised (General Electrics Centricity): the digital images are marked on a computer screen, and measurement precision is under 0.1 mm. The width of the femoral cortex was measured with the digital tool for measuring linear distances on the General Electrics Centricity apparatus. 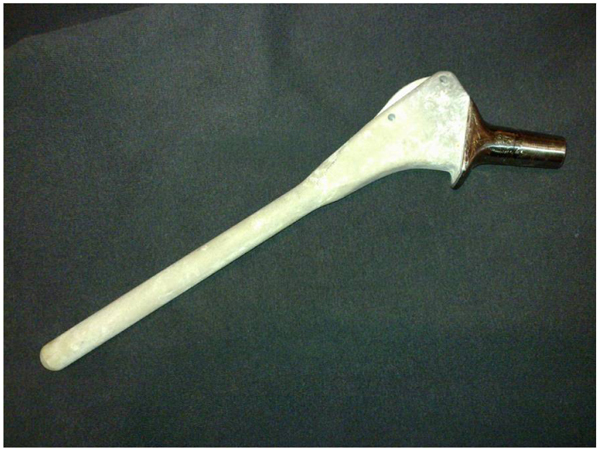 The known diameter of the femoral head was used as internal reference to correct any variations in magnification. The femur was divided into to the Gruen et al. zones [26Gruen TA, McNeice GM, Amstutz HC. “Modes of failure” of cemented stem-type femoral components: A radiographic analysis of loosening. Clin Orthop Relat Res 1979; (141): 17-27. [PMID: 477100] ] and femoral canal filling was measured as the ratio of stem width to intramedullary canal width, at three levels [13García-Cimbrelo E, García-Rey E, Cruz-Pardos A, Madero R. Stress-shielding of the proximal femur using an extensively porous-coated femoral component without allograft in revision surgery: A 5- to 17-year follow-up study. J Bone Joint Surg Br 2010; 92(10): 1363-9. [http://dx.doi.org/10.1302/0301-620X.92B10.24317] [PMID: 20884972] ]. Radiographic ongrowth was not quantitatively scored but qualitatively assessed on all AP and lateral radiographs: it was defined as the absence of complete radiolucent lines on all Gruen zones, that is, bone tissue could be seen directly apposed on the surface of the femoral stem. The first radiographs after the operation were compared with those made during the follow-up evaluations in order to assess bone remodeling. Three levels at the proximal femur were established on anteroposterior (AP) radiographs as in previous literature [13García-Cimbrelo E, García-Rey E, Cruz-Pardos A, Madero R. Stress-shielding of the proximal femur using an extensively porous-coated femoral component without allograft in revision surgery: A 5- to 17-year follow-up study. J Bone Joint Surg Br 2010; 92(10): 1363-9. [http://dx.doi.org/10.1302/0301-620X.92B10.24317] [PMID: 20884972] , 29Bosco JA, Lachiewicz PF, DeMasi R. Survivorship analysis of cemented high modulus total hip arthroplasty. Clin Orthop Relat Res 1993; (294): 131-9. [PMID: 8358905] ]: level A was just distal to the inferior margin of the lesser trochanter, level B was 6 cm distal to the inferior margin of the lesser trochanter, and level C was 11 cm distal to the inferior margin of the lesser trochanter. Femoral bone quality and restoration of the femur were quantitatively assessed on follow-up anteroposterior radiographs by calculating the femoral Cortical Index [27Gruen T. A simple assessment of bone quality prior to hip arthroplasty: Cortical index revisited. Acta Orthop Belg 1997; 63(Suppl. 1): 20-7. [PMID: 9532852] , 28Callaghan JJ, Salvati EA, Pellicci PM, Wilson PD Jr, Ranawat CS. Results of revision for mechanical failure after cemented total hip replacement, 1979 to 1982. A two to five-year follow-up. J Bone Joint Surg Am 1985; 67(7): 1074-85. [http://dx.doi.org/10.2106/00004623-198567070-00011] [PMID: 4030826] ] as well as the width of the femoral cortex at levels A, B and C [13García-Cimbrelo E, García-Rey E, Cruz-Pardos A, Madero R. Stress-shielding of the proximal femur using an extensively porous-coated femoral component without allograft in revision surgery: A 5- to 17-year follow-up study. J Bone Joint Surg Br 2010; 92(10): 1363-9. [http://dx.doi.org/10.1302/0301-620X.92B10.24317] [PMID: 20884972] , 29Bosco JA, Lachiewicz PF, DeMasi R. Survivorship analysis of cemented high modulus total hip arthroplasty. Clin Orthop Relat Res 1993; (294): 131-9. [PMID: 8358905] ]. Stress shielding is not classified here according to the frequently used Engh et al criteria [30Engh CA, Bobyn JD, Glassman AH. Porous-coated hip replacement. The factors governing bone ingrowth, stress shielding, and clinical results. J Bone Joint Surg Br 1987; 69(1): 45-55. [http://dx.doi.org/10.1302/0301-620X.69B1.3818732] [PMID: 3818732] ] because they determines stress shielding area rather than bone loss intensity [9Moreland JR, Moreno MA. Cementless femoral revision arthroplasty of the hip: Minimum 5 years followup. Clin Orthop Relat Res 2001; (393): 194-201. [http://dx.doi.org/10.1097/00003086-200112000-00022] [PMID: 11764349] ]. The existence of residual osteolytic cavities in the femoral cortex were registered, followed and assessed according to Böhm and Bischel [1Böhm P, Bischel O. Femoral revision with the Wagner SL revision stem : Evaluation of one hundred and twenty-nine revisions followed for a mean of 4.8 years. J Bone Joint Surg Am 2001; 83-A(7): 1023-31. [http://dx.doi.org/10.2106/00004623-200107000-00007] [PMID: 11451971] ]: residual osteolysis was quantitatively evaluated during follow-up (measuring largest and smallest diameters) as increasing defects, constant defects, or osseous restoration. Migration was assessed by measuring the vertical subsidence of the femoral stem according to Callaghan et al. [28Callaghan JJ, Salvati EA, Pellicci PM, Wilson PD Jr, Ranawat CS. Results of revision for mechanical failure after cemented total hip replacement, 1979 to 1982. A two to five-year follow-up. J Bone Joint Surg Am 1985; 67(7): 1074-85. [http://dx.doi.org/10.2106/00004623-198567070-00011] [PMID: 4030826] ]. The distance from the tip of the greater trochanter to the most proximal and lateral point of the metaphyseal portion of the stem was very easy to measure in this series because of the geometrical form of this design. Stem subsidence of less than 10 mm was not considered significant. Femoral component fixation was graded following Enghs’ criteria for porous prostheses [31Engh CA, Glassman AH, Suthers KE. The case for porous-coated hip implants. The femoral side. Clin Orthop Relat Res 1990; (261): 63-81. [PMID: 2245564] ]. Qualitative data are expressed as numbers and percentages with quantitative data being expressed as means with ranges. Qualitative data were compared using the chi-square test or Fisher’s exact test, and quantitative data were compared using the Mann-Whitney U test. Kaplan-Meier curves with 95% confidence intervals (CI) were used for survivorship analysis [32Kaplan EL, Meier P. Nonparametric estimation from incomplete observations. J Am Statistc Assn 1958; 53: 457-81. [http://dx.doi.org/10.1080/01621459.1958.10501452] ]. Correlations of cortical bone thickness at different levels and independent variables (age, gender, Paprosky classification, and stem diameter) were analysed with Pearson, Spearman, Mann-Whitney, Wilcoxon and Analysis Of Variance (ANOVA, with Bonferroni correction) for repetitive measures tests. These correlations were calculated with the SAS 9.3 software package (SAS Institute, Cary, NC. USA). A p-value of <0.05 was considered statistically significant for all analyses. Compared with preoperative and immediate postoperative images, the radiographs at the end of follow-up showed frequent changes in the cortical index and femoral cortex (Table 2). Average medial and lateral cortical bone thickness, as well as femoral diameter, increased in the metaphyseal area (level A) and in the proximal and more distal diaphyseal femur (levels B and C). After parametric analysis, the only significant correlations appeared between a lower Paprosky type (independent variable) and an increase of lateral cortex thickness at level B (dependent variable) and increase of femoral diameter at levels A and B (dependent variables). According to the analysis of variance (ANOVA, with Bonferroni correction) for repetitive measures tests, the following correlations were significant observed: between male gender and an increased medial cortex thickness at levels B and C, and between a lower Paprosky type and increased femoral diameter at level B; no other associations were significant (Table 2). Variations in mm in the femoral cortex at levels A, B and C and the femoral diameter in the hips included in the follow-up study, mean +standard deviation, and correlations of cortical bone thickness at different levels and independent variables, p value. Operative complications included seven intra-operative fractures (11.0%) (2 trochanteric and 5 diaphyseal) treated with cable cerclage. Four patients (6.3%) suffered acute infections, one treated with debridement and three with suppressive antibiotics. Three cups were revised for recurrent dislocations. All these complicated cases were included in the follow-up study. The mean preoperative Merle D’Aubigné and Postel scores were 2.0 for pain, 2.1 for function, and 2.2 for range of motion.The mean scores at the latest follow-up study were 4.2 for pain, 4.0 for function, and 4.3 for range of motion. Level 3 pain was found in loosened and rerevised stems. All patients reporting pain referred to distal thigh pain. Frequently, patients had difficulties in flexing their knees during the first weeks after surgery, but they had recovered knee flexion at the three month review. Four patients with pain under level 4 due to stem loosening needed an exchange surgery for their femoral component, but two patients rejected re-surgery. So, only two stems were revised for aseptic loosening. The cumulative probability of not having aseptic loosening was 91.2% (95% confidence interval 73.5-96.9) at 10 years according to Kaplan and Meier (Fig. 2 ). Graph showing the probability of not having aseptic loosening for the whole series. Ranges represent the 95% confidence interval (CI). We did not observe radiolucent lines in any Gruen zone in 53 stems. Radiolucent lines were incomplete and limited to Gruen zones 1 and 7 in seven stems. The only cases with complete lucent lines in all Gruen zones were the four stems diagnosed with loosening (two of them re-revised and the other two rejected additional surgery). All transtrochanteric osteotomies healed uneventfully. The anteroposterior radiograph showed the stem tip to be centered in all hips, those operated by a posterolateral as well as those operated by a transtrochanteric approach. However, eight (14.0%) of the 57 patients operated via a posterolateral approach presented an impingement of the tip of the stem on the anterior cortex, resulting in an average loss of 18.0% of the femoral cortex (range, 10 to 22.0%). When an extended transtrochanteric osteotomy was done the stem never impinged on the anterior cortex. No fractures were detected at the tip of the stem. The mean radiographic non-progressive stem subsidence was 3.5 mm and 6.0% of stems subsided more than 10 mm. These radiographically unstable stems presented a preoperative bone defect classified as Paprosky type II in 2 hip, type IIIA in 1, and type IIIB in 1. Residual osteolysis was diagnosed after revision surgery in 35 hips. The approximate surface of the osteolytic lesion in each radiographic control is calculated multiplying the largest by the smallest diameter [1Böhm P, Bischel O. Femoral revision with the Wagner SL revision stem : Evaluation of one hundred and twenty-nine revisions followed for a mean of 4.8 years. J Bone Joint Surg Am 2001; 83-A(7): 1023-31. 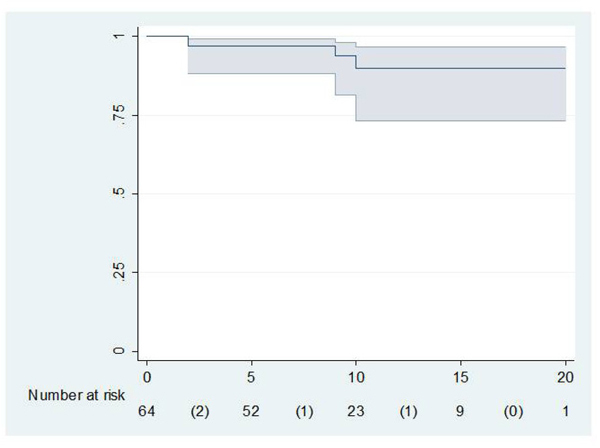 [http://dx.doi.org/10.2106/00004623-200107000-00007] [PMID: 11451971] ]: the comparison of these figures is used to judge qualitatively if the lesion is increasing, constant or restoring. According to this evaluation, at the end of follow-up these osteolytic lesions has disappeared in 15 of these 35 hips (42.9%), decreased in size in 12 (34.3%), remained similar in five (14.3%), and increased in size in three (8.6%) cases. New osteolysis developed in seven of 64 assessed hips (10.9%). Residual osteolysis was not present after revision surgery and remained absent in 20 cases at the end of follow-up. Bone regeneration is difficult to evaluate radiographically but definite changes do seem to have occured in the proximal femoral cortex, while femoral diameter increased in the metaphyseal area (level A) and in the proximal and more distal diaphyseal femur (levels B and C), which is significantly related to gender and/or Paprosky preoperative defect (Table 2). The full HAP coating may contribute to this bone regeneration. This evolution is not the same a reported for other revision stems in which bone increased at the medium level but stayed similar at the distal level using a tapered-fluted grit-blasted revision stem [2Gutiérrez Del Alamo J, Garcia-Cimbrelo E, Castellanos V, Gil-Garay E. Radiographic bone regeneration and clinical outcome with the Wagner SL revision stem: A 5-year to 12-year follow-up study. J Arthroplasty 2007; 22(4): 515-24. [http://dx.doi.org/10.1016/j.arth.2006.04.029] [PMID: 17562407] , 35Carrera L, Haddad S, Minguell J, Amat C, Corona PS. Mid-term outcomes and complications with cementless distal locking hip revision stem with hydroxyapatite coating for proximal bone defects and fractures. J Arthroplasty 2015; 30(6): 1035-40. [http://dx.doi.org/10.1016/j.arth.2015.01.026] [PMID: 25662672] ]; and the cortical index and lateral cortex decreased with an extensively porous-coated stem [13García-Cimbrelo E, García-Rey E, Cruz-Pardos A, Madero R. Stress-shielding of the proximal femur using an extensively porous-coated femoral component without allograft in revision surgery: A 5- to 17-year follow-up study. J Bone Joint Surg Br 2010; 92(10): 1363-9. [http://dx.doi.org/10.1302/0301-620X.92B10.24317] [PMID: 20884972] ]. Distal fixation promotes proximal stress-shielding [9Moreland JR, Moreno MA. Cementless femoral revision arthroplasty of the hip: Minimum 5 years followup. Clin Orthop Relat Res 2001; (393): 194-201. [http://dx.doi.org/10.1097/00003086-200112000-00022] [PMID: 11764349] ] but no significant stress-shielding has also been reported [36Fink B, Urbansky K, Schuster P. Mid term results with the curved modular tapered, fluted titanium Revitan stem in revision hip replacement. Bone Joint J 2014; 96-B(7): 889-95. [http://dx.doi.org/10.1302/0301-620X.96B7.33280] [PMID: 24986941] , 34Chang JD, Kim TY, Rao MB, Lee SS, Kim IS. Revision total hip arthroplasty using a tapered, press-fit cementless revision stem in elderly patients. J Arthroplasty 2011; 26(7): 1045-9. [http://dx.doi.org/10.1016/j.arth.2011.03.020] [PMID: 21570247] , 38Neumann D, Dueckelmann L, Thaler C, Dorn U. Revision total hip arthroplasty using a cementless tapered revision stem in patients with a mean age of 82 years. Int Orthop 2012; 36(5): 961-5. [http://dx.doi.org/10.1007/s00264-011-1379-3] [PMID: 22038439] ]. No similar quantitative measurements have been published previously using the Furlong-HAP revision stems: Raman et al. and Trikha et al. [18Raman R, Kamath RP, Parikh A, Angus PD. Revision of cemented hip arthroplasty using a hydroxyapatite-ceramic-coated femoral component. J Bone Joint Surg Br 2005; 87(8): 1061-7. [http://dx.doi.org/10.1302/0301-620X.87B8.16161] [PMID: 16049239] , 19Trikha SP, Singh S, Raynham OW, Lewis JC, Mitchell PA, Edge AJ. Hydroxyapatite-ceramic-coated femoral stems in revision hip surgery. J Bone Joint Surg Br 2005; 87(8): 1055-60. [http://dx.doi.org/10.1302/0301-620X.87B8.16053] [PMID: 16049238] ] have only reported “endosteal bone formation”, in their subjective qualitative evaluation. Grafts were not used in our series and although a lateral cortical strut graft may well have improved results in hips with thin lateral cortices and massive femoral bone loss [37Kim Y-H, Kim J-S. Revision hip arthroplasty using strut allografts and fully porous-coated stems. J Arthroplasty 2005; 20(4): 454-9. [http://dx.doi.org/10.1016/j.arth.2004.09.054] [PMID: 16124960] ], we agree with Nadaud et al. that allografts make it difficult to achieve a tight press fit in the host bone [12Nadaud MC, Griffin WL, Fehring TK, et al. Cementless revision total hip arthroplasty without allograft in severe proximal femoral defects. J Arthroplasty 2005; 20(6): 738-44. [http://dx.doi.org/10.1016/j.arth.2004.12.053] [PMID: 16139710] ]. Our clinical results using a revision Furlong-HAP-coated long stem are good in most hips in this series. Thigh pain was less common in patients with stems that achieved fixation with radiographic bone ongrowth [8Paprosky WG, Greidanus NV, Antoniou J. Minimum 10-year-results of extensively porous-coated stems in revision hip arthroplasty. Clin Orthop Relat Res 1999; (369): 230-42. [http://dx.doi.org/10.1097/00003086-199912000-00024] [PMID: 10611878] ]. The re-revision rate of the stem in this series was better than some studies (8.6%-11.0%) [33Wimmer MD, Randau TM, Deml MC, et al. Impaction grafting in the femur in cementless modular revision total hip arthroplasty: A descriptive outcome analysis of 243 cases with the MRP-TITAN revision implant. BMC Musculoskelet Disord 2013; 14: 19. [http://dx.doi.org/10.1186/1471-2474-14-19] [PMID: 23311769] ], similar to others (6.5% loosening, 4.3% revision [2Gutiérrez Del Alamo J, Garcia-Cimbrelo E, Castellanos V, Gil-Garay E. Radiographic bone regeneration and clinical outcome with the Wagner SL revision stem: A 5-year to 12-year follow-up study. J Arthroplasty 2007; 22(4): 515-24. [http://dx.doi.org/10.1016/j.arth.2006.04.029] [PMID: 17562407] , 36Fink B, Urbansky K, Schuster P. Mid term results with the curved modular tapered, fluted titanium Revitan stem in revision hip replacement. Bone Joint J 2014; 96-B(7): 889-95. [http://dx.doi.org/10.1302/0301-620X.96B7.33280] [PMID: 24986941] ], but worse than other series (1.3-3.9%) [18Raman R, Kamath RP, Parikh A, Angus PD. Revision of cemented hip arthroplasty using a hydroxyapatite-ceramic-coated femoral component. J Bone Joint Surg Br 2005; 87(8): 1061-7. [http://dx.doi.org/10.1302/0301-620X.87B8.16161] [PMID: 16049239] , 19Trikha SP, Singh S, Raynham OW, Lewis JC, Mitchell PA, Edge AJ. Hydroxyapatite-ceramic-coated femoral stems in revision hip surgery. J Bone Joint Surg Br 2005; 87(8): 1055-60. [http://dx.doi.org/10.1302/0301-620X.87B8.16053] [PMID: 16049238] , 34Chang JD, Kim TY, Rao MB, Lee SS, Kim IS. Revision total hip arthroplasty using a tapered, press-fit cementless revision stem in elderly patients. J Arthroplasty 2011; 26(7): 1045-9. [http://dx.doi.org/10.1016/j.arth.2011.03.020] [PMID: 21570247] , 35Carrera L, Haddad S, Minguell J, Amat C, Corona PS. Mid-term outcomes and complications with cementless distal locking hip revision stem with hydroxyapatite coating for proximal bone defects and fractures. J Arthroplasty 2015; 30(6): 1035-40. [http://dx.doi.org/10.1016/j.arth.2015.01.026] [PMID: 25662672] ]. These discrepancies can be explained by the complication rate. Poor results and an especially high number of complications could be attributed to a lack of surgical experience instead of blaming the specific and nowadays obsolete characteristics of the stem, in comparison with newer designs. There were seven intra-operative fractures (11.0%), a higher prevalence than in other series [18Raman R, Kamath RP, Parikh A, Angus PD. Revision of cemented hip arthroplasty using a hydroxyapatite-ceramic-coated femoral component. J Bone Joint Surg Br 2005; 87(8): 1061-7. [http://dx.doi.org/10.1302/0301-620X.87B8.16161] [PMID: 16049239] , 19Trikha SP, Singh S, Raynham OW, Lewis JC, Mitchell PA, Edge AJ. Hydroxyapatite-ceramic-coated femoral stems in revision hip surgery. J Bone Joint Surg Br 2005; 87(8): 1055-60. [http://dx.doi.org/10.1302/0301-620X.87B8.16053] [PMID: 16049238] ]. As rotational stability of this stem is based exclusively on metaphyseal fit-and-fill, the increase in size of straight reamers facilitates trochanter fracture and distal perforation, especially in short femurs. Three hips were revised with a cup exchange for recurrent dislocation. These figures are well over the 6.0-7.7% rate reported [18Raman R, Kamath RP, Parikh A, Angus PD. Revision of cemented hip arthroplasty using a hydroxyapatite-ceramic-coated femoral component. J Bone Joint Surg Br 2005; 87(8): 1061-7. [http://dx.doi.org/10.1302/0301-620X.87B8.16161] [PMID: 16049239] , 19Trikha SP, Singh S, Raynham OW, Lewis JC, Mitchell PA, Edge AJ. Hydroxyapatite-ceramic-coated femoral stems in revision hip surgery. J Bone Joint Surg Br 2005; 87(8): 1055-60. [http://dx.doi.org/10.1302/0301-620X.87B8.16053] [PMID: 16049238] ]. Other revision series with uncemented stems report 0.0% [34Chang JD, Kim TY, Rao MB, Lee SS, Kim IS. Revision total hip arthroplasty using a tapered, press-fit cementless revision stem in elderly patients. J Arthroplasty 2011; 26(7): 1045-9. [http://dx.doi.org/10.1016/j.arth.2011.03.020] [PMID: 21570247] ] to 4.3% [36Fink B, Urbansky K, Schuster P. Mid term results with the curved modular tapered, fluted titanium Revitan stem in revision hip replacement. Bone Joint J 2014; 96-B(7): 889-95. [http://dx.doi.org/10.1302/0301-620X.96B7.33280] [PMID: 24986941] ]. The wide cervico-diaphyseal angle and low offset of this design contribute to this complication. A second explanation is the lack of acetabular revision in some cases, when old polyethylenes were maintained. Patient age does not seem to have a negative effect on the postoperative clinical results since mean patient age in this series was 70 years old. Radiographic bone ongrowth was diagnosed in 94.0% of the stems, and unstable fixation in four stems, which compares favourably with some porous-coated designs [4Lawrence JM, Engh CA, Macalino GE, Lauro GR. Outcome of revision hip arthroplasty done without cement. J Bone Joint Surg Am 1994; 76(7): 965-73. [http://dx.doi.org/10.2106/00004623-199407000-00002] [PMID: 8027124] , 9Moreland JR, Moreno MA. Cementless femoral revision arthroplasty of the hip: Minimum 5 years followup. Clin Orthop Relat Res 2001; (393): 194-201. [http://dx.doi.org/10.1097/00003086-200112000-00022] [PMID: 11764349] , 10Weeden SH, Paprosky WG. Minimal 11-year follow-up of extensively porous-coated stems in femoral revision total hip arthroplasty. J Arthroplasty 2002; 17(4)(Suppl. 1): 134-7. [http://dx.doi.org/10.1054/arth.2002.32461] [PMID: 12068424] ], but is worse than the 1-4.0% reported with other uncemented revision implants [2Gutiérrez Del Alamo J, Garcia-Cimbrelo E, Castellanos V, Gil-Garay E. Radiographic bone regeneration and clinical outcome with the Wagner SL revision stem: A 5-year to 12-year follow-up study. J Arthroplasty 2007; 22(4): 515-24. [http://dx.doi.org/10.1016/j.arth.2006.04.029] [PMID: 17562407] , 13García-Cimbrelo E, García-Rey E, Cruz-Pardos A, Madero R. Stress-shielding of the proximal femur using an extensively porous-coated femoral component without allograft in revision surgery: A 5- to 17-year follow-up study. J Bone Joint Surg Br 2010; 92(10): 1363-9. [http://dx.doi.org/10.1302/0301-620X.92B10.24317] [PMID: 20884972] , 16Crawford CH III, Malkani AL, Incavo SJ, Morris HB, Krupp RJ, Baker D. Femoral component revision using an extensively hydroxyapatite-coated stem. J Arthroplasty 2004; 19(1): 8-13. [http://dx.doi.org/10.1016/S0883-5403(03)00454-6] [PMID: 14716643] , 18Raman R, Kamath RP, Parikh A, Angus PD. Revision of cemented hip arthroplasty using a hydroxyapatite-ceramic-coated femoral component. J Bone Joint Surg Br 2005; 87(8): 1061-7. [http://dx.doi.org/10.1302/0301-620X.87B8.16161] [PMID: 16049239] , 19Trikha SP, Singh S, Raynham OW, Lewis JC, Mitchell PA, Edge AJ. Hydroxyapatite-ceramic-coated femoral stems in revision hip surgery. J Bone Joint Surg Br 2005; 87(8): 1055-60. [http://dx.doi.org/10.1302/0301-620X.87B8.16053] [PMID: 16049238] , 34Chang JD, Kim TY, Rao MB, Lee SS, Kim IS. Revision total hip arthroplasty using a tapered, press-fit cementless revision stem in elderly patients. J Arthroplasty 2011; 26(7): 1045-9. [http://dx.doi.org/10.1016/j.arth.2011.03.020] [PMID: 21570247] , 38Neumann D, Dueckelmann L, Thaler C, Dorn U. Revision total hip arthroplasty using a cementless tapered revision stem in patients with a mean age of 82 years. Int Orthop 2012; 36(5): 961-5. [http://dx.doi.org/10.1007/s00264-011-1379-3] [PMID: 22038439] ]. The four unstable patients needed an exchange surgery for their femoral component, but two of them rejected re-surgery. Average stem subsidence (3.5 mm) in this series was worse than that published previously for the same stem [18Raman R, Kamath RP, Parikh A, Angus PD. Revision of cemented hip arthroplasty using a hydroxyapatite-ceramic-coated femoral component. J Bone Joint Surg Br 2005; 87(8): 1061-7. [http://dx.doi.org/10.1302/0301-620X.87B8.16161] [PMID: 16049239] ]. Residual osteolysis was diagnosed after revision surgery in 35 cases and at the end of follow-up these osteolytic lesions disappeared in 15 of those 35 hips (42.9%). The evolution of residual osteolysis was not analysed in one of the previous series [18Raman R, Kamath RP, Parikh A, Angus PD. Revision of cemented hip arthroplasty using a hydroxyapatite-ceramic-coated femoral component. J Bone Joint Surg Br 2005; 87(8): 1061-7. [http://dx.doi.org/10.1302/0301-620X.87B8.16161] [PMID: 16049239] , 19Trikha SP, Singh S, Raynham OW, Lewis JC, Mitchell PA, Edge AJ. Hydroxyapatite-ceramic-coated femoral stems in revision hip surgery. J Bone Joint Surg Br 2005; 87(8): 1055-60. [http://dx.doi.org/10.1302/0301-620X.87B8.16053] [PMID: 16049238] ]. Other published studies with other designs only report no diaphyseal osteolysis and no increasing focal defects at the end of follow-up [10Weeden SH, Paprosky WG. Minimal 11-year follow-up of extensively porous-coated stems in femoral revision total hip arthroplasty. J Arthroplasty 2002; 17(4)(Suppl. 1): 134-7. [http://dx.doi.org/10.1054/arth.2002.32461] [PMID: 12068424] , 35Carrera L, Haddad S, Minguell J, Amat C, Corona PS. Mid-term outcomes and complications with cementless distal locking hip revision stem with hydroxyapatite coating for proximal bone defects and fractures. J Arthroplasty 2015; 30(6): 1035-40. [http://dx.doi.org/10.1016/j.arth.2015.01.026] [PMID: 25662672] ]. Our study has some limitations. One is the small cohort and short follow-up resulting in some incomplete clinical outcome data. However, we believe that this follow-up is sufficient to support our conclusions. Our data were obtained from a prospective clinical and radiographic follow-up data base and were collected retrospectively for this study. We did not randomise these components with other designs for comparisons. The Merle d'Aubigne score does not only evaluate the femoral side, rather it assesses the global function of the hip, and is also related to other parameters including acetabular side, previous procedures, and abductor mechanism. We performed no analysis of inter-intraobserver variability for the radiographic measurements. The investigating surgeon studied the radiographs and entered the data on forms on the day of the clinic visit. These detailed measurements were made by another (unblinded) reviewer at a different time. Thus, some bias may have been introduced in the radiographic assessment. We recognize our radiographic measurements of variations in femoral cortex thickness may not be sufficiently reliable, but clinically and radiographically we do see bone remodelling changes in the femoral cortex. In conclusion, the Furlong straight monoblock HAP-coated long stem in revision surgery allows us to solve difficult cases with major proximal bone defects that would be difficult to revise with other methods. Clinical outcome is good but not outstanding compared with other designs. Radiographic bone fixation is frequent, but unstable fixation was more frequent when there were major bone defects. Contrary to other porous long-stems, most osteolytic lesions heal and cortical thickness increases at different levels. Alternative methods of reconstruction, such as an impaction grafting procedure, should be considered in young patients who will probably require a new femoral revision at some point in their future. The Furlong extensively HAP-coated long-stem favours the proximal bone regeneration in femoral revision surgery. This study was approved by the Ethics Committee of the Hospital de la Princesa de Madrid (Spain) (Institutional Review Board approval (IRB: PI-885)). The patients signed an Informed Consent Term authorizing the procedure and the inclusion in the study protocol.